Venezuelans vote using touchscreen machines and electronic ballots. Venezuela voted this 6 December to renew all 167 seats in the National Assembly (AN). In spite of the deep political unrest that has dragged on for years, the elections were conducted normally and the results were accepted immediately by losing candidates. One of the keys to the calm with which the process unfolded lies in the automated voting system, which allowed for accurate and verifiable results for all polling centers. In some districts the election outcome was very close. As can be seen on the National Electoral Council’s website, in the Circuit 3 Aragua state constituency, opposition candidate Karin Salanova won by a bare 83 votes over Rosa León, the government’s candidate. Despite this narrow margin (0.06%), the losing candidate accepted defeat without major fanfare, a fact which represents unequivocal proof of the accuracy and transparency of the automated system. 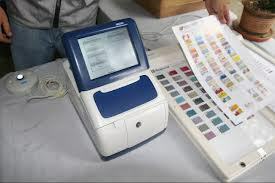 The results from the National Electoral Council (CNE) and the subsequent statements of political actors show that the e-voting model the country uses since 2004, provided by Smartmatic, enables securing the people’s intent, regardless of the political position taken. Notably, during the 11 years the system has been used, candidates and proposals of all positions have won and lost. From the opposition, the executive secretary of the Bureau for Unity, Jesús Torrealba, and one of the elected candidates, Delsa Solórzano, indicated that the CNE provided data that acknowledges the results as reflected in the precinct reports that each party holds; the Government also validated the computations delivered. The head of the campaign command for Chavismo, Jorge Rodriguez, said that despite the adverse result the movement accepts the information from the automated count. The Venezuelan technology platform was examined, as is a tradition in the electoral timetable, through various audits, all certified by political organizations before, during, and after the elections. Besides those revisions, the same night of the election, a public citizen inspection was performed in 54% of the polling stations. This test confirmed that the will of the voters expressed in the physical vouchers of the votes matched what was reflected on the precinct count printed by the machine. The broad scope of performing reviews to e-voting was also addressed by Antonio Mugica, CEO of Smartmatic. “Along with voters, universities, NGOs, political parties and electoral authorities around the world, we have built the only voting system that is fully verifiable from beginning to end,” he said. After 14 national elections since 2004, more than 120 audits in 11 years, politicians from both sides winning and losing with the same voting machines, Venezuela confirms that e-voting was and is key to the success of elections in this country. Elections in Venezuela: How are ballots cast? How are votes safeguarded? In Venezuela, voting is 100% automated, and it includes voting machines and electronic ballots. Photo: Mercadeo y Negocios. Next December 6th, 19,496,296 Venezuelans will exert their right to vote to elect 167 deputies to the National Assembly. Although voters in this country already have 12 years of experience in e-voting, it’s always a good idea to become familiar with the voting process and electoral guarantees for this occasion. This time, the National Electoral Council (CNE) has activated 14,515 polling centers, in which 40,601 polling stations with voting machines and biometric identification devices will be used. Venezuela’s electoral process is 100% automatic. Voting, tallying, and aggregation are carried out through electronic means. Besides, results are encrypted and transmitted through a network provided by CANTV, the state telecommunication company. Polling centers with three or more polling stations will have a Voter Information Station. In it, an operator will provide each voter with information about his or her polling station number after checking his or her ID. Also, information will be provided about the page and line in the voting registry where the voter will need to sign and stamp his or her fingerprint. Throughout the country, 40,601 machines will be deployed for validating voters’ fingerprints. Upon arrival, each voter will have to produce his or her ID document to a polling station member, who will record the ID data into the Integrated Authentication System (SAI), which includes the biometric device. The device will then capture the voter’s fingerprint to verify his or her identity and activate the voting machine. After the identity verification phase is finished, the voter will go to the voting booth, which houses the voting machine and the electronic ballot. The voter must press on sectors corresponding to the choices he or she must make according to his or her precinct, or press on the “select all” Option. After this process is complete, the vote will be shown on the screen of the voting machine. After verification, and after correction if need be, the voter will press the word “vote” on the touchscreen. Thus, his or her vote will be stored in the machine, and it will also be printed on a paper receipt, which the voter must deposit in a ballot box. The voter will then sign the vote registry and stamp his or her fingerprint. The process is finished by soaking the voter’s pinky finger in indelible ink. Ballots cast by voters remain stored randomly in the voting machine’s memory. After the voting process is closed (the legal time is 6:00pm, but extensions are allowed), the device will count them. Results will be reflected on the tally report that will be printed. This process is performed in each of the voting machines distributed across the country. After the tallying is completed, and the tally report or minute is printed, the transmission cable is plugged into the voting machine and the encrypted data is transmitted to the National Tabulation Center. This information travels through a network provided by the government-owned communications company. The aggregation system only receives data from machines that have been verified and authorized by the electoral power. After the polling stations have been closed, vote receipts deposited in the ballot boxes are counted in 54% of the stations in order to audit the automated results. After information has been transmitted, a new process begins: physical votes (paper receipts printed by the machine) are compared against the results tallied, printed, and transmitted by the same machine. This audit is part of the set of 23 reviews to which the Venezuelan system is subjected. This system’s technology is provided by the multinational company Smartmatic. The CNE and political actors agreed to execute inspections before, during, and after the elections, thus guaranteeing the efficiency and effectiveness of the entire process. The audits include a review of the software used by the voting machines and the verification of the devices’ setup file, inspection of the electoral infrastructure and servers (features, database servers, reception, and query), as well as security protocols (firewall, authentication services, file integrity revision), voting registries, and biometric devices. 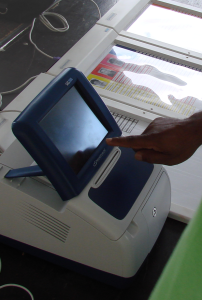 Besides, new inspections were incorporated into this process: audit of biometric automation incidents, where 1.5% of the polling centers will be subjected to a revision in order to determine if some people voted more than once; total records with possible identity issues on the database, maximum amount of possible double votes, and votes affected by null identity or multiple votes and their impact on election results. Venezuela is ready for elections. The system is ready to receive voters and deliver the country a new electoral process where results match the people’s intent by 100%.